A GRIP ON SPORTS • Yes, those who can’t remember the past may be condemned to repeat it. But George Santayana’s widely quoted philosophical theorem also has a corollary: Those who dwell on the past may be condemned to a life looking backward. Read on. • To put it simply, yesterday’s mistakes often lead to today’s inaction. 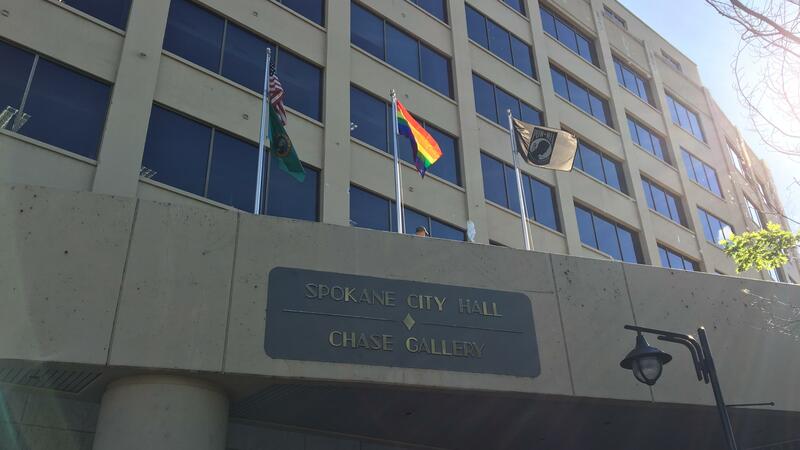 For this week’s Exhibit A, we give you the Spokane City Council, an entity the word “inaction” hasn’t often been used to describe the past few years. Yes, the Inland Northwest’s proudest change engine stalled last night, it’s progressive reputation derailed by a high school sports stadium. And the parking garage attached to it. Funny, this time it was the usually conservative mayor, David Condon, who was trying to realize a vision. To move the city forward by building a sports facility that would draw people downtown for the next five decades or so. Kind of like, not too long ago, the people of Spokane decided to move forward with a new arena, replacing the beloved but decrepit Coliseum with a building that is now a Spokane landmark. The move met opposition. The opposition was overcome. The people were given their say and they said yes. The system worked. Yesterday the City Council was asked – at the last minute, in government time, which is never a good thing – to add the cost of a long-discussed Albi Stadium replacement to the city’s proposed November bond issue. The Council decide to pass on the offer, voting 5-2 to table the issue until later. The mayor, the main force behind the proposal, considers the issue dead. That’s despite representatives of the school board and the council scheduled to meet tomorrow to go over their ballot measures, which until recently were playing together well. The school district and the City will each put bond issues in front of the voters in November, with new schools and libraries at the core of the requests. A new stadium is peripheral, sure. But it is needed. Spokane’s high schools are different than you’ll find most places. Instead of on-campus fields capable of hosting evening football and soccer games, the district has relied for decades on Joe Albi Stadium, the Northside facility owned by the city. That was fine for years and years and years. But those years have taken its toll on a facility that wasn’t cared for with the same attention to detail the Public Facilities District has bestowed on the Arena. It’s time to replace Albi. Has been for a while. With the PFD and a number of other agencies moving ahead with a $42 million multi-use sports facility just east of the Arena, it seemed like a good idea to build a nearby stadium and raze the 68-year old Albi. Its demise would open space for a new middle school – a win for the school board – and even more playfields near Dwight Merkel Sports Complex – a win for local residents. Except no one wants to pay for it. Or, to be more precise, no one wants to ask their constituents to pay for it. The school district balked recently, with the idea of spending $10 million on a parking garage – two words that will live in infamy in this town forever thanks to the River Park Square brouhaha – seemingly a deal breaker. “I think there’s a lot of things a school district can do with $10 million, towards safety and towards building improvements, rather than on a parking garage,” Spokane School Board chairwoman Sue Chapin was quoted a couple weeks ago in an S-R story by Kip Hill. So the board punted the stadium idea to the City. And the City Council muffed it. It’s funny, but by voting to table the plan, council members may have thought they were voting against spending money on a downtown stadium and a nearby parking garage. But what the five members who voted no were really doing was twofold: They were denying city voters the opportunity to make a final decision on replacing Joe Albi – something council members Breean Beggs and Lori Kinnear pointed out – and they were rejecting an opportunity for more Northside playfields. If the downtown stadium dies, the district has no choice but to work with the city to downsize Albi. That’s the only way to free up space to build a needed middle school. That’s serves the district’s purpose, especially if Albi is modernized in the process. The district will have a somewhat-new football stadium for all its high schools – if still out of the way for some – and the space for a new middle school. If Albi is demolished, however, the city’s plan is to use the land to expand Merkel, creating much-needed fields and play areas. And, as a bonus, its replacement would add another attraction to the downtown core. But instead of fields with children of all ages playing soccer and football and lacrosse, there will be, as there is now, another asphalt parking lot near downtown. That doesn’t seem like a good trade. WSU: Pac-12 football is only days away. OK, practice is only days away. 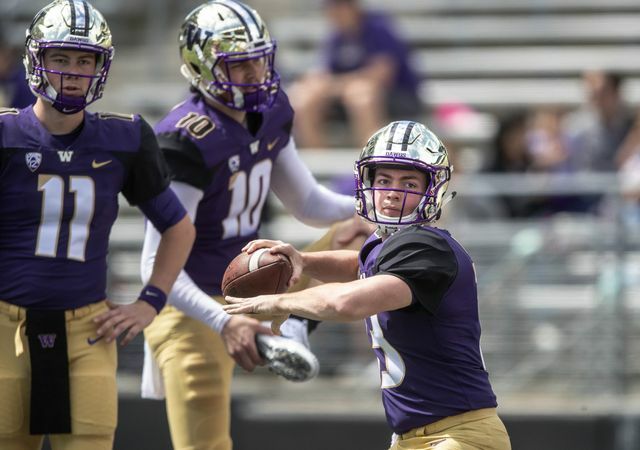 And there are questions, like who will be Washington’s backup quarterback? … Heck, at Stanford, the question is who is healthy at quarterback? … And at USC, who will be the quarterback? … We know Arizona State has a highly paid offensive coordinator. … Colorado is looking for a starting running back. … Oregon State has a new coach. … California expects a lot from a former walk-on. … The new rules are still being parsed a bit. … In basketball, Oregon is going to be tall and long. … ESPN doesn’t think much of Arizona or the Pac-12. Gonzaga: We can pass along highlights of Anton Watson at the NBPA Top 100 Camp, though, if you’ve ever watched him play live (and many of us have), you know this video only shows part of his abilities. … One of the Zags’ biggest recruiting targets – literally – is headed to Utah instead. EWU: The Eagles’ basketball team has a challenging nonconference road schedule ahead. Indians: Defense in the low minors is rarely perfect – and often not decisive. But even in the Northwest League, four errors are hard to overcome as Spokane discovered last night at Avista. Dave Nichols was there and has the story of the 8-6 loss to Hillsboro. … Elsewhere in the Northwest League, Spokane stayed tied with Vancouver after the Canadians lost at home to Eugene. … Everett also lost. Mariners: James Paxton returned last night. He sported the same old fastball and a brand new moustache. The former probably had more to do with his seven shutout innings than the latter, but who knows? … The final was 2-0 but there were some anxious moments. The bullpen needs help and Jerry Dipoto went out and got it yesterday, trading for Zach Duke and Adam Warren. … Felix Hernandez is still in the rotation. … The King County Council yesterday discussed money for Safeco’s upkeep. That led to this column. I still don’t understand why a tenant has to pay for upkeep. And don’t buy this idea the M’s would never leave Seattle. It’s a business. Boeing makes planes in South Carolina, right? … Kyle Seager is on paternity leave. … The first clubhouse guy I ever met was Nobe Kawano. It was a long time ago. Seahawks: Another day at Hawks’ camp. … Some players who were once rivals are now teammates. … Jon Ryan is ready to fight for his job. … Many of the offensive line spots are up for grabs. … Larry Weir sets his sights on the NFC West in the latest Press Box Pod. Published: July 31, 2018, 8:49 a.m.